Running a successful retail business is about focusing on the products that not only make you a good profit but also offer shoppers real value for money. It’s an inherently tricky balance, as you weigh up the benefits of high-profit margins against the risk of losing customers to competing stores. Before choosing which products make it on to the shelves or developing any kind of pricing strategy, it’s crucial to get a process in place that helps you make the best decisions for your business. You’ll need to consider the quality of each product that passes through your doors, its relevance within the current market and whether it really does offer value to the consumer. How do I know whether my products are currently delivering? The QVCC model covers things that every retailer should be taking into account when buying new stock. It can also be beneficial when determining how existing products can reach their full potential. First up is quality. Before you put a new item on the shelf, it’s vital that you have confidence in its quality. Only buy from trusted or recommended suppliers where possible, and don’t be tempted to invest in the latest “it-product” without first doing your research. There’s a huge amount of choice available on the high street, so encourage customer loyalty by guaranteeing a product that’s of a consistently high standard. Next, value. It goes without saying that value for money is a primary consideration for shoppers, so think carefully about how you price each item. This largely ties into the first point, as the better the quality of your products, the more that customers will feel they’re getting good value for money. Keep an eye on how similar products are priced elsewhere and consider slightly reducing the cost of items that are taking a long time to shift. Thirdly, think about whether the products you stock are current or on trend. 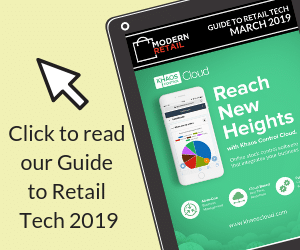 As a retailer, it’s vital that you have your finger on the pulse and remain aware of the latest industry news and product launches. If an item that’s sold well in the past has suddenly gone out of favour with customers, it may be time to start looking at alternatives that are on the market and updating your current stock appropriately. Last but not least, evaluate how well your products are performing within the local community. Location is an integral factor that’s too often overlooked in retail, so pay attention to what else is on offer nearby and strive to source items that are a bit different, but still appeal to the average shopper within the local area. It’s vital that all retailers keep a close eye on their inventory and continually evaluate their processes. The retail landscape is evolving at a rapid pace, so a willingness to adapt and move with the trends is crucial if you hope to get the very most from the stock that you carry.